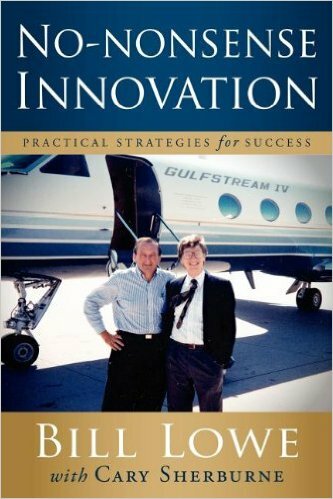 The late Bill Lowe, the Father of the IBM PC, and Cary Sherburne, a well-known author, consultant and journalist, bring more than 70 years of combined experience in the high tech industry to bear in the creation of this book. Cary captures Lowe’s experiences, insight and practical advice, as well as the key business principles of the no-nonsense philosophy of Pragmatic Innovation, in an engaging, easy-to-read style that blends never-before-told inside stories linked to success and failures in innovation, with practical strategies and tactics for implementation of Pragmatic Innovation that can boost the bottom line and the innovation footprint of organizations of any size and across a broad range of industries and disciplines. In addition to her own works, Cary Sherburne has ghost-written several books for busy executives. Her goal with these projects is to make the process as easy as possible, with the book reflecting the voice of the author and consuming as little of his/her time as possible in the process. For more information on how Cary can help you write the book you have always wanted to publish, but have never had time to complete, contact us. WhatTheyThink and Cary Sherburne have published more than 3,000 video interviews since 2007, the first printing trade site to regularly use video content. To view videos, visit here.